Want to live a self-sustaining lifestyle, but you’re not sure where to start? Need help to plan your off-grid homestead? Are you struggling with what to do first? Want to embrace from scratch cooking, but are very overwhelmed? Just need the voice of experience to help you pull all your ideas together? It is our passion to help others achieve a simple life and to embrace their dreams! 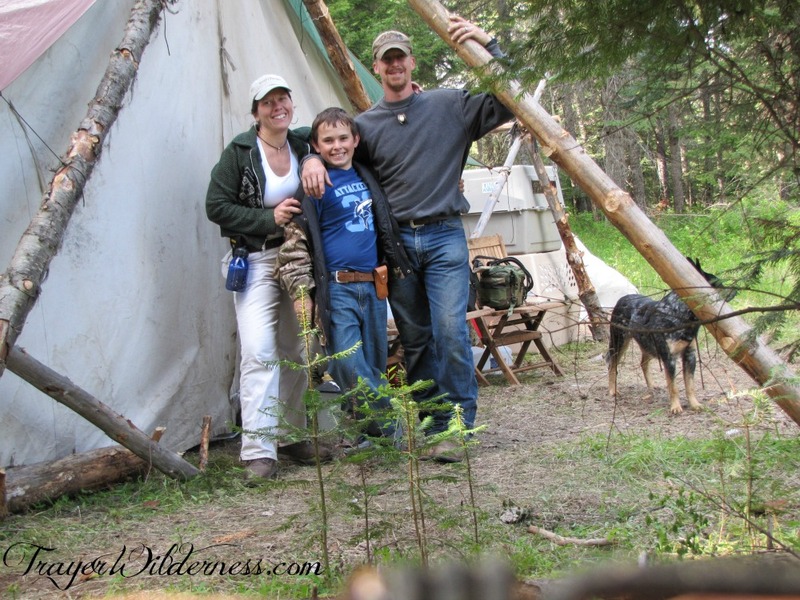 We embraced our off-grid homesteading dream in 2010 where we lived in an 8′ x 14′ canvas wall tent for 8 1/2 months on raw wilderness land in northern Idaho while we built our home. It was the most amazing experience of our lives and we want to be able to share that freedom and joy with others. Both of us, the Mountain Man (Glen) and the Mountain Woman (Tammy) are available to assist you with your homestead and off-grid planning, preparation and even troubleshooting. We would love more than anything to see your walk away from our consulting sessions with comfort, peace, and direction to embrace your dreams. Everyone can embrace their dreams, sometimes it just takes a little bit of comfort in the planning. We both bring different abilities to the table. Maybe you are looking for some from-scratch cooking guidance from the Mountain Woman or maybe you are looking for some guidance on autism. Austin, the Mountain Boy, and Tammy both have first-hand experience and knowledge. Or you might be looking for some building, design, or even a special hack for your homestead from the Mountain Man. To accommodate schedules and needs, locations and time zones we have created two different consulting packages to meet everyone’s needs. Our goal during this up to six week journey will be to listen to your needs and at the end of every consulting session provide you with feedback, insight, ideas, inspiration, guidance, resources and steps you can take to help you embrace each goal and ideally provide you with peace and comfort! Sometimes it is just not very ideal to get on the phone. Our unlimited email consulting is affordable and convenient. During the course of a month, we can email back and forth at your leisure. We will provide the same attentiveness to you as we would on our phone consults providing you with feedback, insight, ideas, inspiration, guidance, resources and steps you can take to embrace your goals. As an additional benefit to this choice you will be able to refer back to the emails as often as needed! You may also find my book How To Embrace An Off-Grid Lifestyle: Our Journey & A Step By Step Look At The Lifestyle helpful in your journey helpful on your path to a self-reliant lifestyle regardless if you plan to go off-grid or not. It is available in both e-book and print book.